Aspinalls - Victoria and Albert Museum. Aluminium Infill Panels - UK Engineering Experts | Engineering Business UK | Qualified Engineers Lancashire | Mechanical Engineered Products | Mechanical Engineer Services. Aspinalls developed the architects detail, supplied and installed 82 off 600mm x 600mm panels. 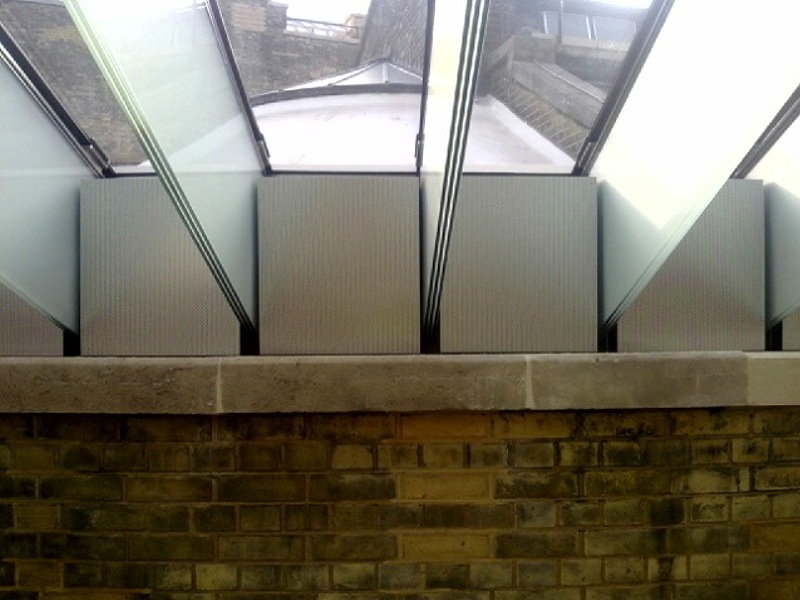 The panels were installed at high level between glass roof support beams in the day lit gallery. The panels were constructed with an aluminium frame, an anodised perforated aluminium fascia, sound quality felt fitted to the rear of the perforated fascia and a rockwool infill provides sound attenuation qualities to dampen sounds within the gallery.